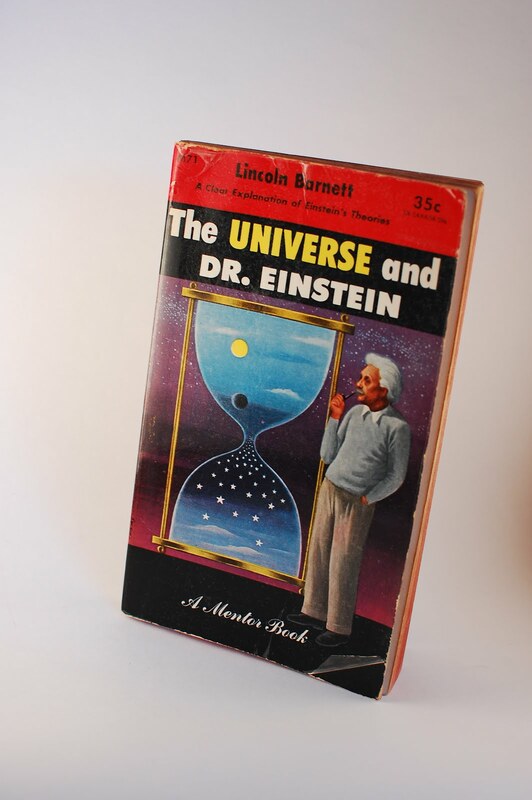 This week we nominate the 1953 Mentor Paperback edition of The Universe and Dr. Einstein by Lincoln Barnett (retail price Back in the Day: 35¢). Mr. Barnett's explanation of Einstein's theories is purportedly clear and simple enough for a high school chemistry to understand. Alas, I am no longer a high school chemistry student, so me no understand. Content is not the issue here anyway; it's the delightful cover, which I am certain must've spawned many an Omni magazine cover.